The Brazilian market has not seen an entry from Amazon so far, but that looks like it is about to change. It seems that the Kindle will be launched in Brazil by the holiday season, along with a store that they hope to full with at least 10,000 titles. Oddly, in what I believe is the only instance of such a thing happening so far, there will be no other Amazon services entering the market at the same time. That means that for the time being the eBook store will have to stand on its own. While a full retail store is definitely in plans for Brazil, at the moment there are apparently too many potential dangers in the notoriously complex commercial markets there. By going entirely digital, many of the shortcomings in infrastructure and tax codes can be somewhat sidestepped. It’s interesting timing given the fact that Brazil’s consumer growth seems to be trailing off after a decade of impressive growth, but Amazon is far from the only company interested in cashing in on Latin America’s most prosperous economy. The motivation behind this move is Amazon’s expectation that the Kindle could quickly come to dominate the eBook market. Apparently some research has indicated that a fairly large number of Brazilian readers already own imported eReaders, including the Kindle, and go out of their way to purchase and download books through stores that are not technically open to the country at this time. By moving the Kindle Store in, Amazon expects to immediately grab as much as 90% of the country’s eBook sales. The same source that released this information also mentioned that Amazon is hoping to expand eBook sales from 0.5% of the Brazilian publishing market to 15% within the first year of operations. We can expect the basic Kindle model to be the first thing released through the new store. It will likely be selling for approximately 500 reais, equivalent to $239, which is obviously higher than many other markets are seeing but still cheaper than the competition currently available in Brazil. Naturally prices will drop as competition strengthens, but there has been some indication that even this high price is being subsidized by Amazon thanks to the added expense of doing business in this area. There are already contracts in place with around 30 publishers as Amazon gets ready for the release. There is also word that there are still ongoing talks with several that are not included in that list. One publisher said that the current plan is to offer titles at 70% of their paperback price, allowing for a profit margin of 40-50%. That would not translate to much revenue for the wholesalers, in this case publishers, but they are still interested in signing up for the platform as a means to expand interest in their books. This will probably end up being the slowest expansion that Amazon has undertaken to date. Entering into the Brazilian economy will be rather unpleasant for them and clearly they are aware of that. By leading with the Kindle not only will they avoid some of the headaches associated with local shipping and distribution of assorted retail products, they will also be putting the best foot forward by providing interested customers with one of the best products in production today for reading. It seems to be a smart choice. Amazon recently announced that they are now interested in developer submissions of Android apps for the international expansion of the Amazon Appstore for Android. Those who are interested can now submit via the Amazon Mobile App Distribution Portal in order to be ready for the expansion. This summer the Appstore is expanding to the United Kingdom, Germany, France, Italy, and Spain. Beyond that there are apparently plans for more, but even a handful of new markets should generate a big surge in popularity for the Appstore in general and the Kindle Fire in particular. The Kindle Fire has to be what this is all about, of course. 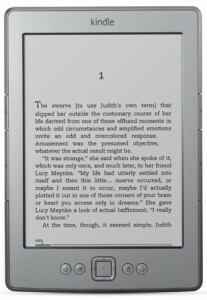 We are expecting the next iterations of the Kindle line, both tablet and eReader, before the summer is out. Although their first Android tablet has started to lose some of its initial popularity, it is clear that Amazon has a great deal invested in the idea of mobile devices integrated into their media distribution system. Because of its integration, however, selling the Kindle Fire outside the US has seemed problematic at best. Amazon has a lot going for them, but media rights need to be established in any country the company chooses to support. That means not just books as with the Kindle eReaders but also movies, television, music, and apps. Getting the apps will probably be the easiest part for this effort. By setting up a portal by which Android developers can submit their applications, they are actually setting up an interesting alternative to Google Play. Google has had a few incidents with regard to paying their international developers (mostly failing to pay them, actually) that makes an alternate major app store with a proven record huge news. There are no estimates yet on exactly when the Kindle Fire will be offered outside the United States. It even makes some sense to question whether Amazon will bother marketing the existing model at all. With a newer high resolution model supposedly on the way, as well as a larger version set to follow soon after, waiting an extra month or two to make sure to put the best product forward might be the smart move. The Appstore for Android has already proven itself able to provide better returns for developers than its Google counterpart. It’s true that many find the extra oversight and extended review process to be painful, occasionally to the point of refusal, but that has not stopped the store from growing rapidly over the past year. Customers seem to value the higher submission standards, if nothing else. Will this be enough to revive interest in the Kindle Fire? That’s hard to say. With Windows 8 right around the corner and Apple surely waiting to one-up any competition as soon as they are able to justify it financially, it’s an unsettling time to be selling Android tablets. Because of Amazon’s break with Google’s standard interface and store, as well as the ecosystem integration, they stand somewhat apart from the Android crowd and might be able to survive even if interest in Android falls abruptly. The next Kindle Fire is going to have to be impressive to regain the kind of market share that it had at the end of 2011, though. I don’t think anybody can really doubt at this point that Amazon wants to take their eReading success in the US and replicate it globally. Amazon in general is an always expanding entity, of course, but specifically the Kindle line has been growing rapidly for some time now and is finally showing up in non-English dominated countries. Even if nothing else had pointed in that direction, simply the removal of the physical keyboard from the Kindle, a long-standing and almost iconic part of the popular eReader, would have given some hints as to aspirations outside of US markets. If we take that as a given, though, does Amazon have a chance to make the same sort of impression elsewhere that it has in the United States? Probably the number one thing that Amazon has going for it when it comes to getting the Kindle Store out there is the Kindle Direct Publishing platform. This has allowed authors to bring out work that might never have seen the light of day otherwise. In some cases there was a good reason for that, of course, but the number of success stories from KDP authors is growing all the time and it is becoming increasingly common for new works to be self-published digitally without ever even being offered to major publishers. There is every reason to believe that this will be a popular service no matter where Amazon makes it available and that as a result they can hope to keep their selection original and diverse in any market. Self publishers will not be driving an entire eBook industry any time soon, though. Customers want access to the big names and best selling titles. Here is where Amazon will be running into some trouble. Despite, or perhaps because of, the roadblocks that the company has hit from Agency Model price fixing, nobody can compete with the Kindle and publishing houses aren’t prospering in the new market the way they would like to. While those two facts don’t necessarily have a direct connection, publishers are clearly unhappy with how things are going now that the Kindle and eBooks in general have taken off. That will have an effect on how publishers who have not as of yet dealt with Amazon will approach forming a new relationship. On top of this, there is the incredibly complex task of managing rights issues across multitudes of jurisdictions. Amazon can’t just form a deal to sell a book, they have to make deals to sell every book in every individual country it needs to be sold in. As any Kindle owners in Canada can attest to, that results in problems with unequal selections. Will Amazon push through and make the attempt in spite of the complications? Of course. They’re already doing it. I would guess that after this first major push to hit what they perceive to be the best potential markets, though, we see a couple years of consolidation. When it comes to the Kindle, Amazon has proven they have a desire to deliver quality over quantity and that can’t always be rushed. At the moment, and in spite of some admittedly impressive competition, the Kindle is pretty much the biggest thing in eReading. In a given review or opinion, another eReader might come out on top as the new Nook Simple Touch Reader has managed to do lately, but nothing else has managed the level of distribution and quality of content that Amazon has pulled off so far. The margin isn’t all that it used to be, though. In order to keep on top of things, they are going to have to do more than we have seen in the past couple months. While it would not be entirely out of line to assume that the current focus on the upcoming Kindle Tablet might be drawing attention away from the existing product line, I think there may be more to it than that. The Kindle, as it stands right now in terms of both the physical eReader and the platform as a whole, is limited in a number of ways. The current level of control being exerted by publishers prevents any one-upsmanship in terms of pricing. Amazon has some of the smaller names experimenting with sale offerings, but we have to assume that even if companies start buying into the idea of discounted eBooks it will not be a platform specific thing. That avenue is closed for now. They’re doing a rather good job of getting a lot of self publishing authors into their stores, which helps, but assume that at the moment there is not much that can be done to fix up the store as we know it. The device itself is also pretty much at the peak of what we can hope for. It has the best screen technology available, amazing battery life, whatever connectivity options you want, and a lot more. About the only thing left to complain about is the physical keyboard. I think this is the first place we can expect major change is here. We know that one of the new Kindle options we can expect in October will be a touchscreen eReader. Not only will this reduce the size of the Kindle without losing the functionality of the admittedly difficult to use keyboard and appease the crowd of people who really don’t like physical buttons anymore, it will allow true localization. Hard to really pull that off when every device you sell has a built-in English keyboard. This also brings up what I believe will be the next big stage in Kindle expansion. Right now, while a hit in some places, the Kindle platform seems to only be dominating in the US. Amazon has the experience and resources to spread out a bit. I would anticipate, following the release of the Kindle Touch and the first generation of the Kindle Tablet (and, of course, the initial patching stage to iron out the bugs), a big effort to get the Kindle out to any market that Amazon thinks is large enough to be worth tackling. Possibly even before localized firmware is a reality, but with a promise of fully integrated language selection as a later option. There isn’t any reason to hold back now, and stagnation would lose them the edge. Amazon has to keep moving and this is the only way that really makes sense as far as eBooks go.